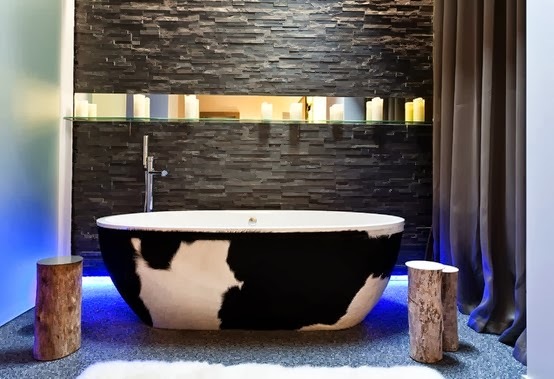 Do these cowhide tubs mooooo-ve you? 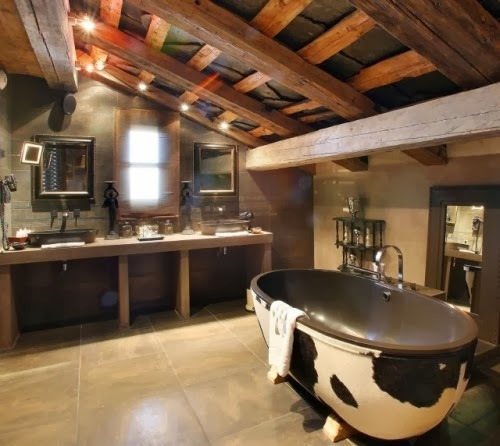 Find them udderly fabulous? Ok, I'll stop milking the cow jokes. When I was a kid I had a book full of cow jokes, unfortunately it's packed away in some box at my parents house, else I'd throw in a few here. It's not often cow jokes come in handy. 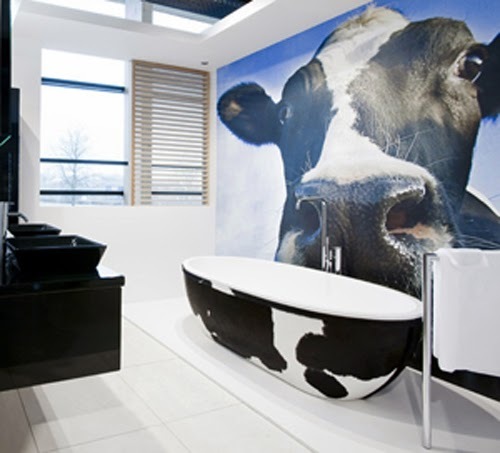 These cow themed tubs are pretty original. 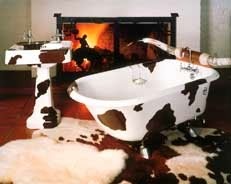 I'm not a big fan of the cow motif myself, but, I bet at least one Country music star has a tub like this! 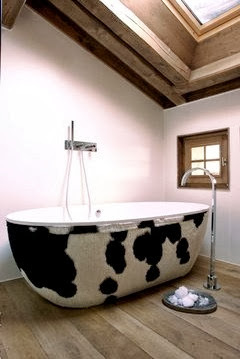 So what do you think of these cowhide bathtubs?